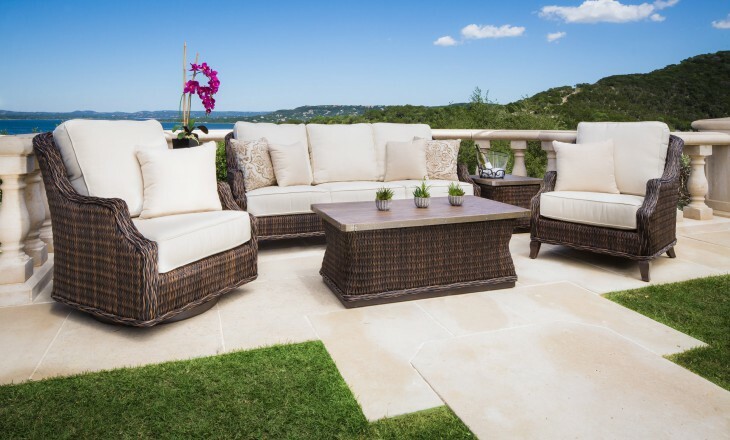 Sophistication meets comfort in the Monticello Seating Collection by Patio Renaissance. Designed with superior quality, beauty and comfort, the Catalina is the ultimate luxury in outdoor living. Select from one of Patio Renaissance’s many 100% acrylic Sunbrella® fabrics to customize your Monticello collection. With pieces from sectionals, lounge chairs, motion lounge chairs to dining tables, the Monticello collection is sure suit your styling and comfort needs.